One of the most striking aspects of both these books is the use of poetry. Although poetic language is to be found in many Old Testament books, it is the predominant form in these ones. The book of Psalms and the Song of Songs (or Song of Solomon) contain lyric poetry, whereas the other books consist mainly of proverbs or aphorisms in verse form, and wisdom poems in varying lengths. 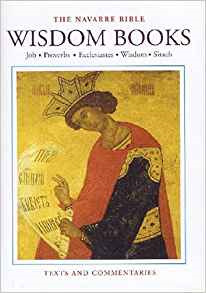 This is primarily why the Psalms and the Song are described as poetical books, and the others as wisdom books. This volume also contains notes, introductions, and Latin. The editors' notes, which are rarely very technical, are designed to elucidate the spiritual and theological message of the Bible.